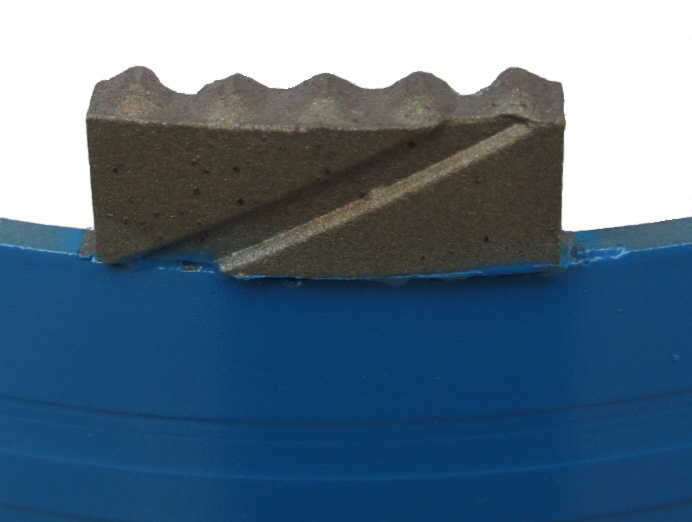 Applications: These top-of-the range drill bits are for dry use, coring out walls. They will also work on concrete floors and platforms where depth permits. They are designed to cope with nearly all walling brick and stone up to the hardness of a semi-engineering brick. They will also cope with re-bar in concrete. Sizes are selected to meet the needs of modern PVC pipework and extractor ducts as well as the more traditional copper pipes. Rugged laser welded construction minimises risk of segment loss. 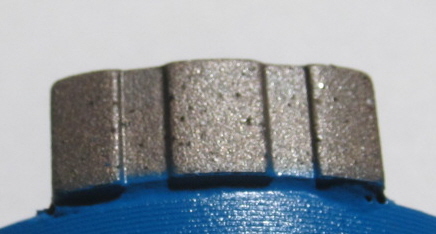 'N' slotted segments add aggression for faster cutting. 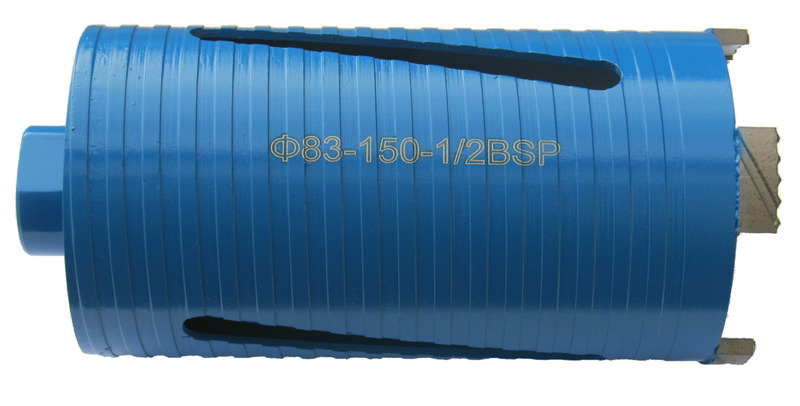 Can be used in concrete with re-bar. Spiral dust removal slot feed dust to back, speeding drilling. Premium grade diamond to work on all facing brick, semi-engineered brick and construction stone. 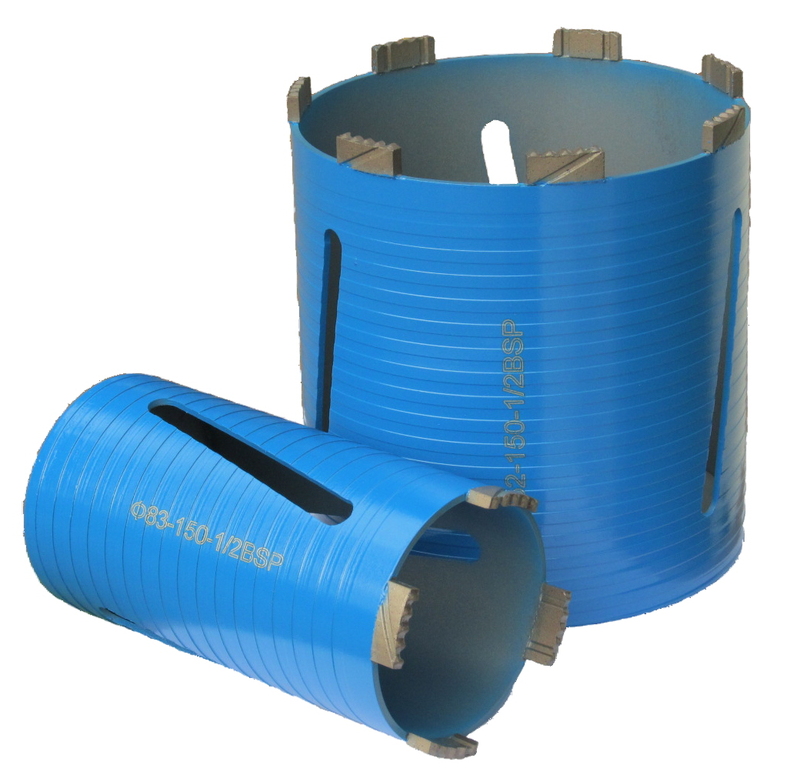 Also Available: We now stock extended barrel core bits which are ideal for deep walls. We also now stock a range of quality wet diamond core drill bits. We also stock a range of mounting accessories for dry core bits. 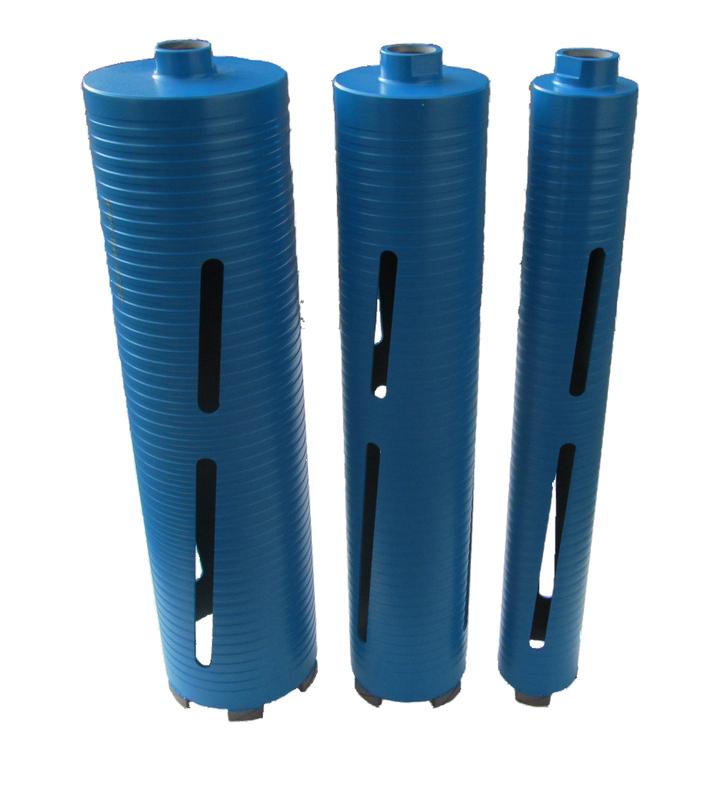 We provide core drill bit adaptors to suit hexagon and SDS type power drills, along with the necessary guide drills. These diamond core drill bits have extended barrels to make it easier to drill into deep walls such as commonly found in old buildings.